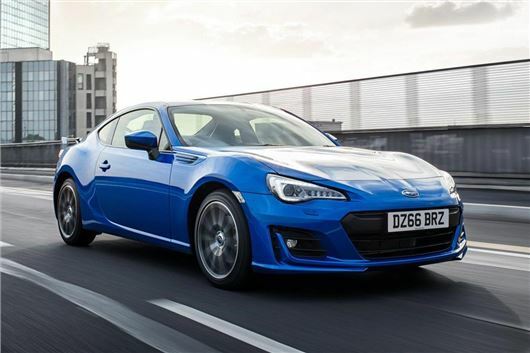 Subaru has made slight improvements to the BRZ for 2017, with styling tweaks, engine refinements, suspension changes and new interior details. The updated model goes on sale in Spring and will be offered in top SE Lux trim only. Prices are to be confirmed but are likely to start at around £25,500. Externally there are redesigned bumpers, new full-LEDheadlights and new tail lights, along with a new spoiler and 10-spoke alloy wheels. Inside, the updated BRZ gets a 4.2-inch screen with readouts for performance-oriented information, including G force, steering angle, brake force and a lap timer. There’s a redesigned steering wheel and material quality has been improved to make the car feel plusher. There have been some tweaks under the bonnet, though these are not focused on increasing the 197PS power output, but rather improving response and efficiency. Suspension dampers have been tweaked to reduce body roll and improve comfort, plus there is a new track driving mode to improve stability on circuits. Why wait until Spring 2017 - the Toyota GT86 version of the same car is available NOW!